PT Pelindo Daya Sejahtera – PT PDS is a rapid growing Indonesian company that is involved in the field of manpower outsourcing services. PT Pelindo Daya Sejahtera is a directly-owned subsidiary company of PT Pelabuhan Indonesia III (Persero) or Pelindo III (Pelindo 3 Group), one of the largest state-owned port operators in Indonesia. 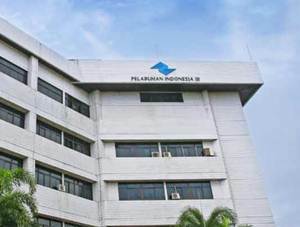 According to Pelindo 3 Group’s Annual Report 2014 as cited by JobsCDC.com, Pelindo 3 Group is the majority shareholder at PT Pelindo Daya Sejahtera, with 90% of ownership. Other 10% remaining shares was owned by Koperasi Pegawai Pelindo III. PT Pelindo Daya Sejahtera operates primarily as an ousourcing provider of Pelindo 3 Group. PT PDS is based in Surabaya East Java and its head office is registered at Jl Perak Timur 480 Surabaya. PT PDS was incorporated on 19 March 2014. The Company was formed to manages the outsourcing labors in Pelindo 3 Group. Previously, outsourcing labors at Pelindo 3 Group managed by Koperasi Pegawai Pelindo III. PT PDS now has 1 subsidiary: PT Tanjung Emas Daya Solusi which engaged in tally services. Minimum age of 20 years and maximum 25 years old per 1 April 2016. Possess certification in ORU (Operator Radio Umum) is a big advantages. Minimum SMK majoring in Electricity Engineering/Electricity. Minimum 2 years of experience in the field of electricity technician. Computer literate (MS Word and Excel). Copy of ORU certificate (for OPR-03).